What is Fish Oil 1000? Fish oil is extracted from cold water fish and is a natural source of marine omega-3 fatty acids. Fish oil provides an anti-inflammatory action within the body which may reduce inflammation and joint swelling. Omega-3 fatty acids are also important for cardiovascular health. In addition to these benefits, Blackmores Fish Oil 1000 is an ideal supplement to take if you can't manage the recommended 2-3 serves of fish a week. It is also high in DHA which is necessary for the normal function of the brain and nervous system. 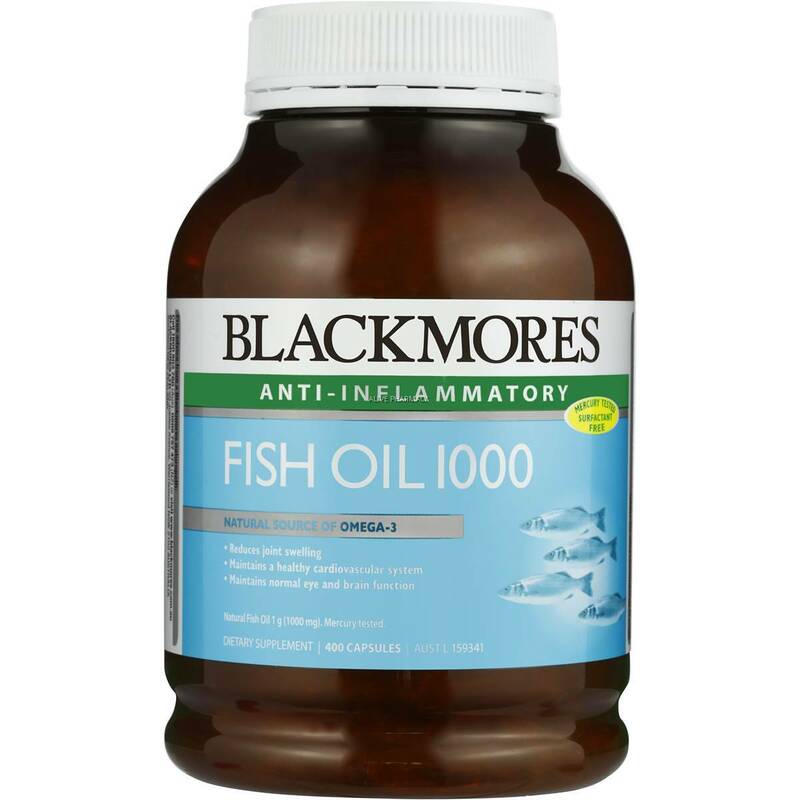 To ensure you can take Blackmores Fish Oil 1000 with confidence, Blackmores regularly tests its fish oil for mercury and only uses high-quality fish oil without added artificial surfactants to disguise fishy odours. - Reduce inflammation and joint swelling. - Support heart and cardiovascular health. - Assist in the maintenance of normal eye and brain function. - Decrease triglycerides (fat) in the blood of healthy people.